On the Stoneyard side of our business we carry bulk stone, mulch, soil and sand; pavers, edging, tools, hardware, spray paint, fertilizers, pest control, and grass seed. We also carry a wide range of products on our Pet side of the business, including pet and livestock food, bedding, feeders, grooming tools, livestock fencing, wild bird food and feeders, pet toys, pet beds, canning supplies, annual and perennial flowers and much, much more. During the spring, summer and early fall we are open Mon-Thurs 7am-6pm, Fri 7am-7pm, Sat 7am-5pm, and Sun 9am-3pm. During the winter we switch to opening at 8am Mon-Sat, and the closing times remain the same. We deliver our bulk products, pavers and occasionally other merchandise. Delivery charges depend on location and volume of material. How do you sell your Bulk Yard products? We sell most products by the ton, except for our mulches, which are sold by the yard. Coverage on these products can vary depending on the material. We can help you determine how much you product you need if you provide us with the square footage. 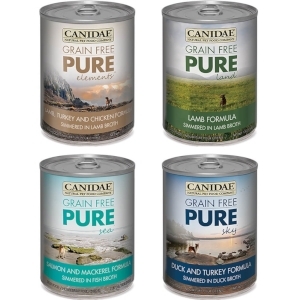 What type of pet foods do you carry? 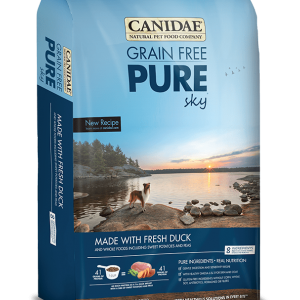 We carry many high-quality pet food brands, including Fromm, Natural Balance, Earthborn, Merrick, Blue, Zignature, Natural Choice, Royal Canin, Taste of the Wild, Nutrisca, Canidae, Exclusive, Infinia and Chicken Soup. My pet has food allergies. What should I feed them? We cater to many pets with special dietary needs, from sensitive tummies to allergies. We can help you make a selection from our limited ingredient diets with novel protein sources. Each pet is different, so we will ask you about their history and vet recommendations to find the best food just for your pet. We also have samples of many of our popular foods, just in case you have a finicky eater at home. Can I bring my dog in to your store? We are pet-friendly, but we do request that pets use the grass area to relieve themselves prior to entering the store. All pets must be leashed and friendly. How do I care for my pavers? We can help you decide how and when to seal your pavers. Depending on what type of project you are working on, use of a sealer product may be optional. We carry all of your paver installation and maintenance supplies, including base and sub-base materials, polymeric sand, sealers, and weed control products. What kind of plants do you carry? Beginning in late April or early May, we stock a beautiful selection of annual plants like petunias, calibrachoa, marigolds, begonias, impatiens, geraniums, and verbena, just to name a few. We also stock a variety of perennial plants including salvia, butterfly bushes, shasta daisies, echinacea, hostas, different types of ferns and grasses, and many more. Look for great discounts in July and August. We also bring in Mums in 9” pots and 10” hanging baskets for the fall months, to go along with our pumpkins, cornstalks, and straw bales. What kind of gift items do you sell? If you're looking for the perfect gift for a loved one, we have plenty of options. From candles, bird feeders, and flags to solar stakes, garden décor, and flowers, you will certainly have lots of inspiration for gift ideas. If you have trouble deciding, that's no problem! We have gift certificates available, as well! How do I decide which horse feed is best for my horse? We have several horse nutrition experts on our staff, who can assist in selecting one of our many Purina, Legends, or Triple Crown feeds to suit your horses needs. Whether your horse prefers pelleted or sweet feed, if you need a growth or senior formula, if you need to feed an easy-keeper or a hard-keeper, we have plenty of options for you and your horse. I don't see the product that I wanted, can you order it for me? We special order items for our customers all the time. If it's a product we can get from our distributors, we would be more than happy to order it for you. Depending on which companies have the product in stock, we can generally get your order for you within 1-2 weeks.